(1) Parol evidence is inadmissible to interpret the written contract.–Parol evidence is anything that is outside of the four written corners of the piece of paper that the contract is actually written on. This could mean conversations that you had over the telephone or notes written on a dinner napkin at a restaurant you were eating at during contract negotiations. The only time this outside evidence (“parol evidence”)should come in to interpret the meaning of the written contract is if it the written contract is somehow ambiguous (unclear) and it is obvious that the written contract wasn’t intended to represent the entire agreement. 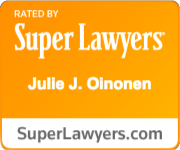 Can I Collect Attorney’s Fees In My Breach Of Contract Lawsuit Where I Am Owed Some Money? 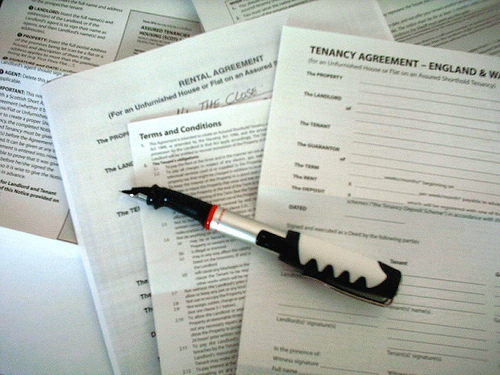 Many commercial contract agreements have provisions for attorney’s fees in the event one party breaches the contract. The question is: what does Georgia law say about collecting attorney’s fees from a contract? The Official Code of Georgia Annotated law, O.C.G.A. 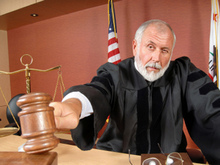 § 13-1-11, talks about the validity and enforcement of obligations to pay such fees. (1) If your contract provides for attorneys fees in some specific percent of the principle and interest it will be valid and enforceable, but you can never charge over 15 percent of the principal and interest. (2) If the term in the contract just doesn’t specify a percent, then the provision will be interpreted to mean 15 percent of the first $500.00 of principal and interest and 10 percent of the remainder. (3) You need to first notify the person who owes you the money in writing that they have ten days after receiving the notice to pay the principal and interest they owe without having to pay for attorney’s fees. If they pay the principal and interest in full before ten days then they won’t be obligated to pay attorney’s fees. If the person who owes you the money refuses to receive delivery of your notice, it will still be considered giving notice. You do however need to make sure you request the attorney’s fees in your demand letter because if you don’t include any reference to the attorney fees provision in your contract, then you have no right to them. And, if you need to sue to collect the money you are owed, a court cannot award you them either if you never provided notice. E.g. Quintanilla v. Rathur, 227 Ga. App. 788, 490 S.E.2d 471 (1997). Trust Assoc. v. Snead, 253 Ga. App. 475, 559 S.E.2d 502 (2002). Since you do need an attorney to collect “attorney’s fees,” you do need to make sure you have competent legal counsel representing you in your business dispute involving a breach of contract. But this is a good thing. Using an attorney’s fees provision is a good way to make sure you cover the cost of your legal fees in the event you get into a business dispute. Having an attorney to help you navigate complex Georgia law is much better than going it alone. In fact, going it alone is the best way to end up in a bad situation. Unfortunately, many times our business clients come in after their situation leaves them with no choice other than retaining legal counsel. Hire an attorney who can set up preventative measures that place your business in the strongest financial and legal position possible. Smart business owners know this and know that retaining an attorney in order to set up their business to ensure that preventative measures are in place is the best way to save money and make money down the road. For example, it is key that competent legal counsel draft your contract in order to carefully preserve your legal rights. Not only to protect your business interests, but also so they can do the ” smaller things” ensuring that your contract allows you to collect attorney’s fees in the event you must go to court for a breach. These “smaller things” end up being huge, in the long run. 1. Executed Contract: This means that both parties to the contract have done what they are supposed to do. For example, if you pay me $2000 to deliver some cows, chickens, and horses to your farm and I do it, we have an “executed contract.” This means you did what you were supposed to do (pay me the money) and I did what I was supposed to do (deliver the farm animals.) There is nothing left to be done. O.C.G.A. § 13-1-2. 2. 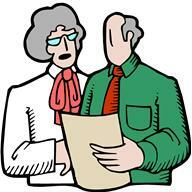 Executory Contract: Now let’s say that you paid me the $2000.00 and I delivered you the cows but I still had to deliver the chickens and horses. This is an executory contract which means that something still remains to be done by one of the parties to the contract. O.C.G.A. § 13-1-2. 4. Specialty Contract: This is just a fancy term for a “contract under seal” which is rarely done, but is considered a formal contract of “higher dignity” and is also subject to a longer statute of limitations. O.C.G.A. § 13-1-4. Anytime it is necessary to enter into a contract with another party or enter into a business relationship, it is worth doing it right! The law can be very technical and you want to make sure that in the event of a future misunderstanding or dispute that the contract will be interpreted by a judge in a way that favors you. The only way to insure this is to seek legal counsel prior to entering into a contract. In Georgia, and everywhere, as too many employers know, employees solicit (attempt to steal) clients from their former employer. There exist obvious and significant financial and professional incentives for employers to prevent this from happening. The answer is a well drafted non solicitation agreement, amongst other safeguards. The problem is that many non solicitation agreements are poorly drafted, because whoever drafted the agreement failed to take into account applicable, and stringent, Georgia laws. In the world of non compete/solicitation agreements, Georgia law is notorious for being extremely unfavorable to employers. And although the Georgia legislature passed employer-friendly legislation (HB 173) in this area, and Governor Sonny Perdue signed that legislation into law, voters must still amend the Georgia Constitution so that the legislature has the power to make HB 173 actual law. That may be difficult. Regardless, Georgia courts, currently, strictly construe non solicitation agreements. That means: if any potion of your non compete/non solicitation agreement is held to be invalid, the entire agreement is void. 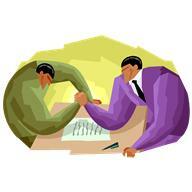 We have written about non compete and non solicitation agreements before on this blog. Today, we are writing this entry to give you a few considerations when reviewing or attempting to draft your own non solicitation clause, although we highly recommend that you seek a good lawyer who has experience in this area to help you with drafting these types of agreements; the stakes are too high to rely on a poorly drafted agreement made by someone who is not familiar with Georgia law. The law: “Georgia law is clear that unless the non-solicit covenant pertains to those clients with whom the employee had a business relationship during the term of the agreement, the non solicit covenant must contain a territorial restriction.” Trujillo v. Great Southern Equipment Sales, LLC, citing Advance Technology Consultants v RoadTrac, 250 Ga. App 317. As you can read, the employer started off great, by restricting the scope of the clause to clients that the employee truly had contact with. But then the non solicitation clause went awry of strict Georgia law, by stating that the employee could not solicit clients that he or she had gained confidential or proprietary information about, by merely working for the employer. While you may think that’s a reasonable restriction, Georgia courts do not. The Trujillo court reasoned that the language pertaining to confidential and proprietary information did not constitute a valid confidentiality provision or a “reiteration” of the confidentiality clause found in Trujillo’s contract. Rather that language, in the Court’s opinion, constituted an impermissible attempt by the employer to broaden the class of customers (clients) whom Trujillo could not solicit. As a result, the court stated–and this is what really hurts employers– “because the non-solicitation clause was unenforceable, the non competition clause included in the agreement was likewise unenforceable.” That’s a result that you as an employer do not want. What lessons can be learned? First, get a good lawyer that knows Georgia law in the area of non compete non solicitation agreements. Second, regardless if you’re an attorney or not, don’t try to be “slick” when drafting these agreements. The Trujillo court made it clear: just because you do not use the red-flag term all clients does not mean that you can avoid the harsh and scrutinizing results of Georgia law. Moreover, understand fully that if you decide to use broad language such as all clients, strongly consider placing a geographical limitation within the non solicitation clause. Additionally, understand that non solicitation agreements do not mean that a client cannot solicit your employee– this area of law is tricky and involves other complex legal issues. Ultimately, when you attempt to use a non solicitation agreement against an employee to protect your business interest, your success will depend on the facts of your case as applied to Georgia law. You need a good lawyer.